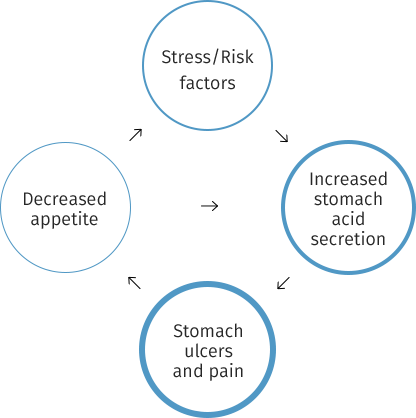 Equine gastric ulcers are caused by a cycle of stress or other risk factors, increased acidity, ulceration, decreased appetite—and ultimately, severe discomfort for the horse. In addition, there is a product proven to heal and prevent equine gastric ulcers. medical options for treating and preventing ulcers.